03.17.19 Chess author, teacher, and coach John Bain is most well known for his instructional workbook Chess Tactics for Students--a book that award-winning chess instructor Dan Heisman recommends all his students learn virtually by heart. Bain also maintains the excellent website Chess for Students which contains a wealth of chess resources for students of the game. Here we feature one of Bain's articles entitled: Making Chess Clubs for Students Work. 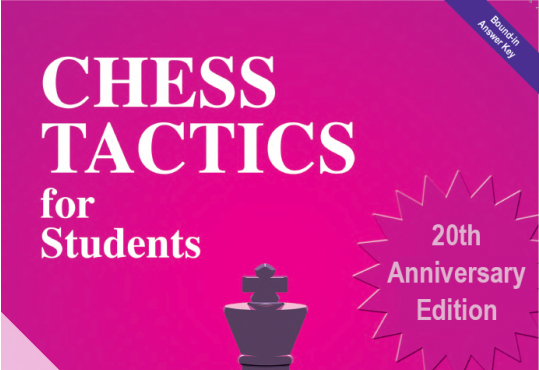 John Bain is the author of the one-of-a-kind instructional workbook Chess Tactics for Students as well as many other outstanding instructional chess books.